This artfully crafted crystal contains a beautifully engraved personalized message. It is a magnificent loving memento for display. 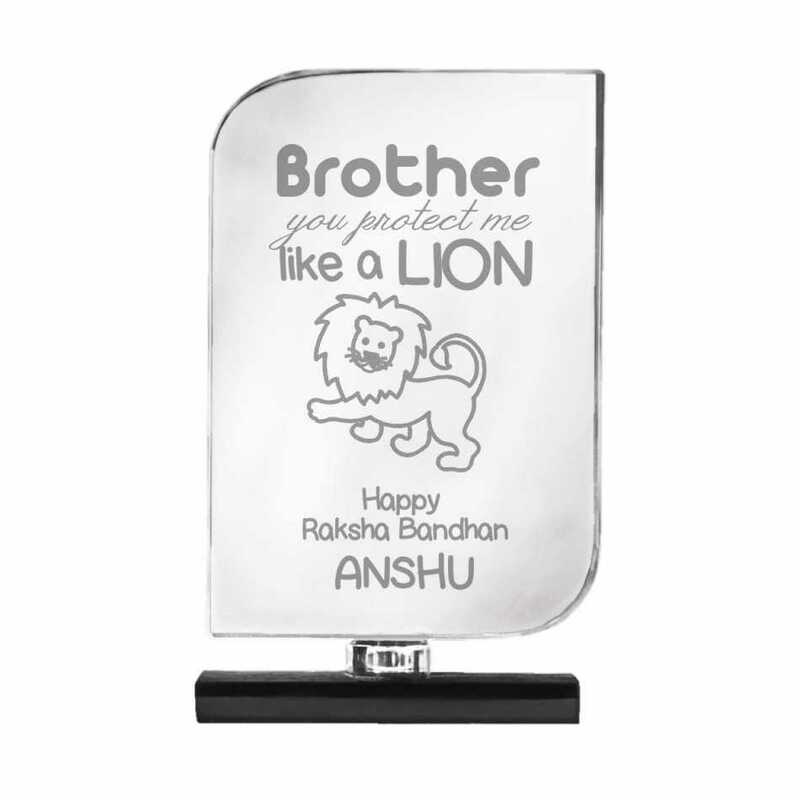 Its a message where a sister says to her brother that he protects her like lion and takes care of her.